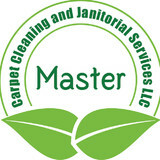 Offering superior carpet, upholstery, and hard-surface cleaning services, we proudly serve Minneapolis,St. Paul, and the surrounding areas. Our technicians are IICRC (Institute of Inspection Cleaning and Restoration Certification) certified, clean to industry standards, and participate in on-going education, going the extra mile to bring excellent cleaning, restoration, and great customer service to your home and office. Passionate about the environment, we love that we can restore and deeply clean your carpet, upholstery, and other hard surfaces. Choosing Dream Steam helps reduce and eliminate waste by restoring what you already have and extending the life of your carpet, upholstery, and hard surfaces. We love to bring new life to it – both to save you time and money and to keep your carpet and upholstery fresh and clean for years to come! Let Dream Steam restore and bring your carpet, upholstery, and hard surfaces back to life! At Northwest ServiceMaster, we are guided by the values of honesty, dependability, and complete customer satisfaction. For us, “good enough” just won’t cut it. Our job is not finished until we meet—and exceed—your expectations. We have been serving St. Paul, Minnesota and the surrounding communities for over 45 years. 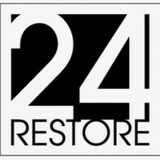 We are a local, family-owned business specializing in cleanup and restoration services for families and businesses affected by fire damage, smoke damage, water damage, flood damage, storm damage, vandalism and more. 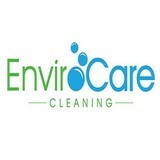 We also offer “non-disaster” residential cleaning and commercial cleaning services. From carpet cleaning and upholstery cleaning, to window and air duct cleaning, our goal is to get your home or business exceptionally clean and help you to make a good impression on visitors and customers alike. bioHome provides pet and kid friendly carpet and upholstery cleaning services. bioHome will give your home the freshest and most thoroughly cleaned carpet possible. Everything in the air and on the bottom of people and pets’ feet – dirt, pet hair and dander, bacteria, allergens and dust mites – ends up in your carpet. Unfortunately, many carpet-cleaning services leave behind carpets that look clean but retain soap and toxic chemicals that attract more dirt. Dirt and toxic chemicals don’t belong in anybody’s home! So, we spent two years coming up with a whole new system to leave not just your carpets but also your upholstery and air ducts clean and fresh with Green Seal products. If you have carpeting in your home you know how hard it can be to keep clean. Your stubborn stains and everyday dirt are no match for professional carpet cleaning services in North Oaks, MN though. The powerful tools that North Oaks carpet cleaners have are designed to not only clean carpets and upholstery, but restore them as well. This, coupled with their expertise of materials and textiles, makes carpet and upholstery cleaning professionals in North Oaks, MN well worth the expense. What should I look for in a local North Oaks carpet cleaner? Not all North Oaks carpet cleaning companies use the same methods, but there are a few common things that they should do to for a quality job. Make sure they do an analysis on the area you need cleaned and recommend the best course of action — are there large stains or high-traffic areas that need extra treatment or attention? Also, make sure they provide quick drying times so that you can be back in your home faster; that means hours, not days! A good carpet cleaning service in North Oaks, MN should move furniture (within reason) and put it back in place when they are all done; don't let them charge extra to do this. Another important factor to look out for is whether or not the carpet cleaners use chemicals, and if so, they should be asthma- and allergy-friendly. This is especially important for households that have children or pets. 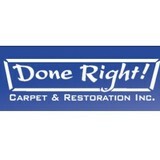 Lots of North Oaks carpet cleaning services also clean rugs. Rug cleaning can involve anything from a simple wash to complete re-weaving or foundation work. Make sure the local rug cleaner you choose has experience with the types of rugs you need serviced, especially if they are hand-woven or Oriental rugs. What should I look for in a local North Oaks upholstery cleaner? Upholstery comes in many more varieties than carpet and rugs, thus needs cleaning tailored to each specific blend. Even if you don’t know what material your sofa or chair is made with, a good upholstery cleaning service in North Oaks, MN will be able to identify it and treat it appropriately. Some textiles require dry cleaning and that can’t be done in home, so if that’s the case, check with the upholstery cleaner and see if they offer pickup and drop off services. Leather cleaning is a bit different and often involves more restoration and conditioning than actual cleaning. Make sure the North Oaks furniture cleaning service specializes in leather if you are considering them for the job. 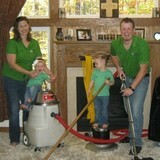 Find North Oaks upholstery and carpet cleaning services on Houzz. Narrow your search in the Professionals section of the website to local carpet cleaners in North Oaks, MN and read reviews and ratings to find one that fits your needs.